I’ve never been to the Renaissance Faire, but castles, knights and all things medieval are a part of our daily life. Along with pirates, Hot Wheels, My Littlest Pet Shop and Webkinz. 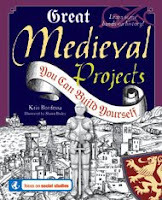 So I’ll start first with a review of Great Medieval Projects You Can Build Yourself, written by the incredibly creative and talented Kris Bordessa (a Northern California resident). When I first hear the title, I thought “hmmm…we’re going to learn how to build a guillotine and pour boiling oil on the mailman from the top floor of our house?” Uh, no. 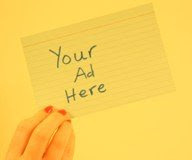 --The word medieval comes from the Latin words for middle age. Hey – I’m medieval! --Many peasants in the army didn’t have conventional weapons. As farmers, they used farm tools like hayforks, axes and sickles as weapons. --Stirrups were first used in Europe around the 8th century. No not for gynecological exams, but to keep riders on their horses. --After medieval patients peed in a cup for testing, there weren’t lab technicians to run the results. Instead, doctors tested it by tasting it! Yum! --And it was good to relearn the story of King Arthur. In my sophomore college dorm, I shared the floor with Arthur and Lancelot (roommates), with Gwennyth across the hall. I kid you not! (only Lancelot went by the nickname “Lance.”). Maybe it will inspire you to attend the Northern California Renaissance Faire, ending October 12. Enjoy entertainment including swordplay, theater, jesters, royalty (unfortunately not hunky Princes William and Harry), a marketplace and a costume rental shop so you can go in character. And don’t forget to buy a turkey leg for lunch! When: this weekend, October 11-12 – 10 a.m. to 6 p.m.